Heladuct FLEX flexible wiring ducts are a system used for laying cables, which helps to keep them on small space and ensures attractive looks when they are laid on display. Cables can be easily led in and led out through the holes along the wiring duct comb. They can be mounted either by means of screws or self-adhesive tape which allows fast and reliable grip on difficult and uneven surfaces. The adhesive composition ensures good grip also on powder painted surfaces. 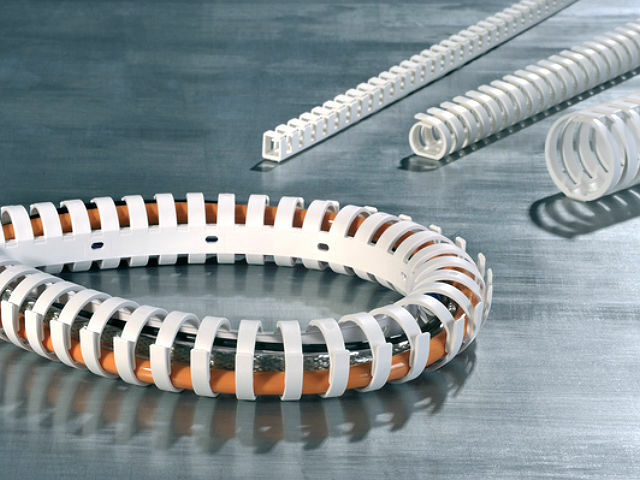 Heladuct Flex wiring ducts are flexible enough to be mounted also at the refraction angle of 90° and bigger.